We offer a wide range of newly developed frame mounted generators that help protect your family or a job site during a power outage. 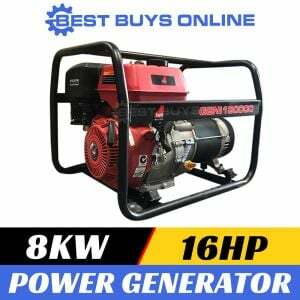 It can also be used on a camping or anywhere you need power. APPLICATION: All of our frame mounted / site generators are ideal for many different applications such as industrial use, office use, aggressive professional work and rental uses. With AVR (Automatic Voltage Regulation), these new generator ensures that the flow of electricity is smooth and even. There are safety systems to cope with both low oil levels and overloading. Thanks to low vibrations, the noise level is lowered and only around 80 dB. Cradle for overall protection, easy move and storage. Very compact and easily manoeuvrable.